Hello and welcome! I'm happy you have found this site and I hope it will be a great resource when you are exploring the internet, in search for the majestic and mythical Tibetan Mastiff! 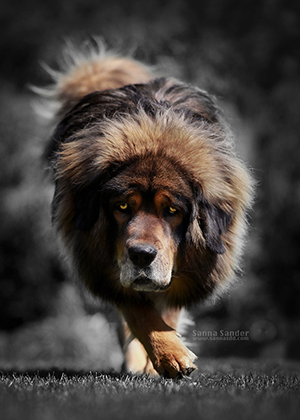 There are so many homepages out there, all focusing on the Tibetan Mastiff. Homepages made by owners, breeders and fans. My goal is to gather links from all over the world and share them here on www.links2tm.com and I hope you will enjoy all the beautiful and informative sites just as much as I do. If you know of a site that should be added here, or if you want your own site added, please send me an e-mail at sannasdd@gmail.com. So, who am I? My name is Sanna and I'm not a breeder, simply a great fan of the breed. I share my home with my two Tibetan Mastiff boys Zodd (Fu-Hsing Sundari) and Temudjin (Legenda Tibeta Temudzhin). Zodd was my first love in the TM world and if you are curious about him he has his own homepage. I have been fascinated by the breed since 1997 and the variation is fascinating. The many types and sizes is a heritage from the old homeland and something we should all treasure. This is a breed full of diversity. 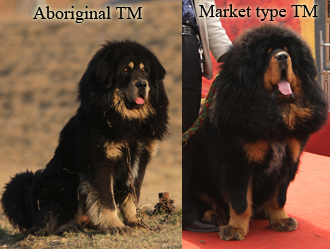 In the last decade or so a previously unknown type of TM emerged from China where big money is involved in breeding. 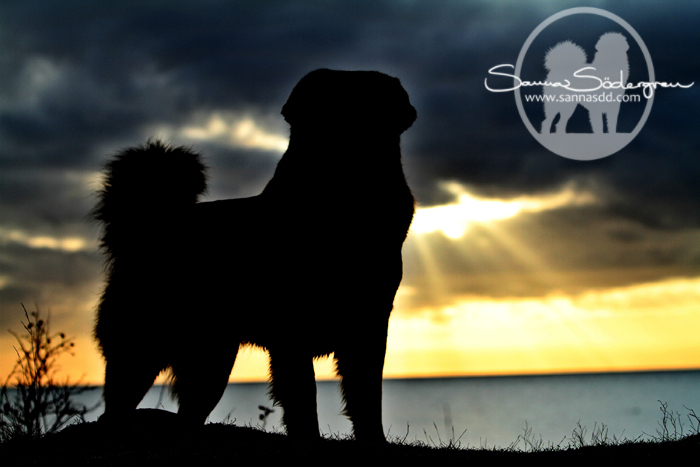 Tibetan mastiff is a breed that's always been bred for function and strenght. This is an important feature to treasure in the breed. With critical eyes we should all be aware of this development. Because we are all responsible for preserving the TM and securing the future of our beloved breed. Please, feel free to add this banner to your homepage. Sign the GUESTBOOK before you go! www.links2tm.com contains 434 links to TMs from all over the world!